Disclosure: Susie's Reviews receives compensation or products from brands in exchange for the posts on this site Our opinions are honest and our own.written by me on behalf of GuruNanda. 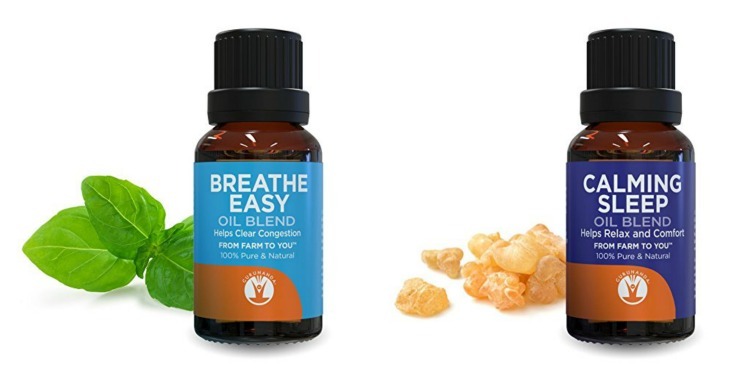 I just love essential oils. It all started when I discovered Lavender and how well it naturally repels fleas. The GuruNanda Aromatherapy White Tower XL Diffuser has allowed me to take essential oils to the next level! 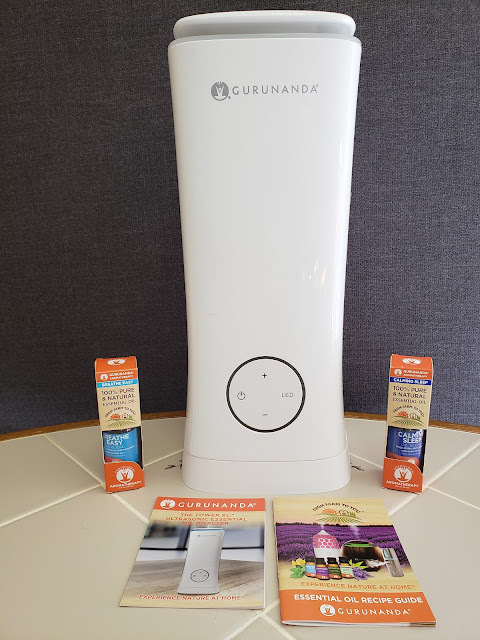 GuruNanda's innovative and state of the art diffusers are equipped with color-changing lights, auto shut-off function, and silent Ultrasonic Technology to help fill your space with the therapeutic effects of natural aromatherapy. The Moist Aroma Tower XL is the world's first open-top humidifier and essential oil aromatherapy diffuser. The Tower XL has a 2-liter water capacity, which is 20x the size of an average diffuser (100 ml). It is built with state-of-the-art, medical-grade white plastic to ensure no corrosion occurs. The unique patent-pending air funnel ensures smooth bubble mist flow, which results in a mist volume that is up to 10x the average diffuser. Fill it, shut it, and forget it. 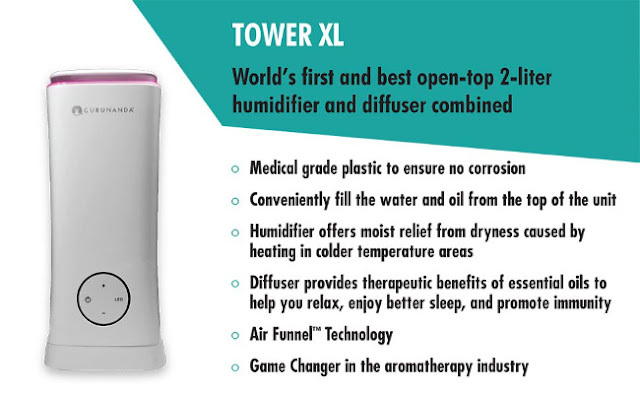 Due to its large tank size, the Tower XL can keep diffusing all night long filling your entire space with moist aroma. This means you can get a peaceful night's sleep without having to wake up every couple of hours to refill the tank. Please tell us what you think of the GuruNanda White Tower XL Diffuser and be sure to follow on Facebook,Twitter, Instagram, and Pinterest. Enter to win the GuruNanda White Tower XL Diffuser in the Welcome Winter Giveaway Hop that runs from Jan 17-31.